Start and end in Pokhara! 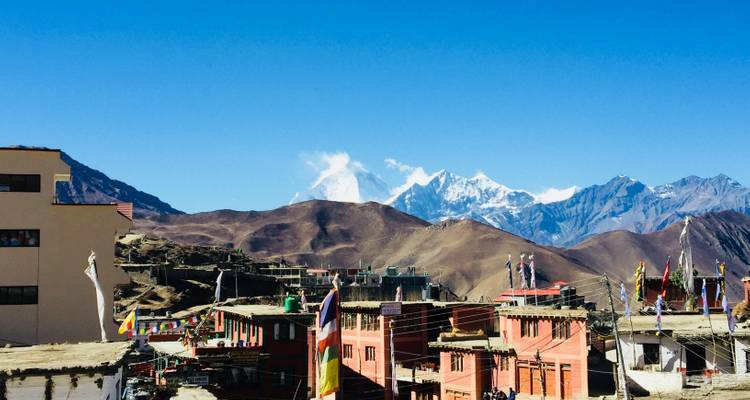 With the hiking & trekking tour Upper Mustang Trek, you have a 11 day tour package taking you through Pokhara, Nepal and 7 other destinations in Nepal. Upper Mustang Trek is a small group tour that includes accommodation as well as flights, an expert guide, meals, transport and more. Beautiful trek, great organisation, excellent, helpful and cheerful guide. Thank you, it was excelet experience. We had no problem and we realy enjoy the time. I can recomende this company. Best trip ever. First time in 5k meters. Our guide Kamal was not know it all, tank You for Your service And care. White Hill adventure Is solid company. We can trully recomand. Day 01: Morning flight Pokhara to Jomsom 2,715 m / 8,907ft and trek to Kagbeni–04 hrs. Day 02: Trek to Chele 3,050 m/10,006 ft - 06 hrs. Day 03: Trek to Geling 3,540 m/11614 ft - 05 hrs. Day 05: Trek to Lo Manthang 3,700 m/12,139 ft-05 hrs. Day 06: Lo-Manthang rest day for acclimatization, local visit. Day 07: Trek to Dhakmar 3,810 m/12,500 ft - 06 hrs. Day 08: Trek to Ghiling 3,806 m/12483 ft - 06 hrs. Day 09: Trek to Tsusang 2,980 m/9,776 ft - 06 hrs. Day 10: Trek to Jomsom 2, 715 m/8,907 ft - 06 hrs. Day 11: Fly from Jomsom to Pokhara 860 m/2, 821 ft - 25 mins. Start and end in Pokhara. TourRadar only requires a deposit of $99 to confirm this White Hill Adventure Treks and Expedition Pvt Ltd booking. The remaining balance is then payable 35 days prior to the departure date. For any tour departing before 31 May 2019 the full payment of $2,619 is necessary. No additional cancellation fees! 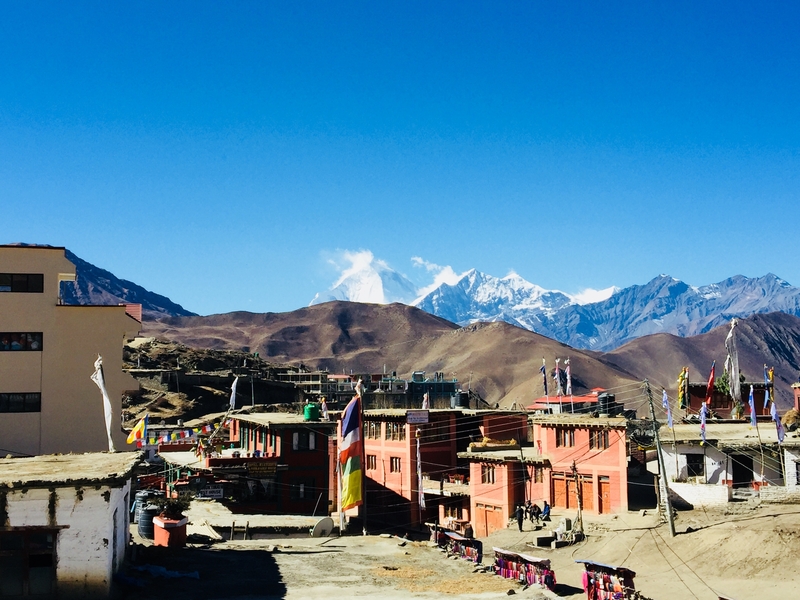 You can cancel the tour up to 35 days prior to the departure date and you will not need to pay the full amount of $2619 for Upper Mustang Trek, but the deposit of $99 is non-refundable. If you cancel via TourRadar the standard cancellation policy applies. Some departure dates and prices may vary and White Hill Adventure Treks and Expedition Pvt Ltd will contact you with any discrepancies before your booking is confirmed. Covering a total distance of approx 226 km. TourRadar does not charge any additional cancellation fees. You can cancel the tour up to 35 days prior to the departure date. If you cancel your booking for Upper Mustang Trek via TourRadar the standard cancellation policy applies.